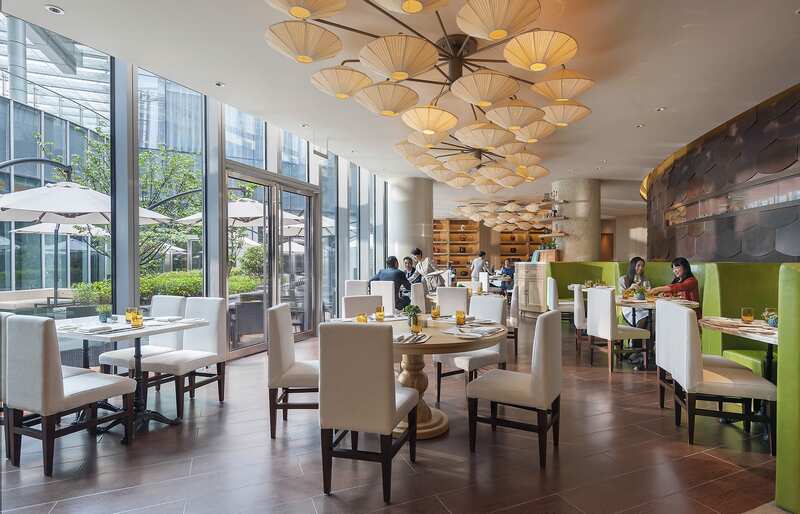 This elegant city hotel wows with refined spaces worthy of the in-the-vogue hub that is the contemporary Shanghai. 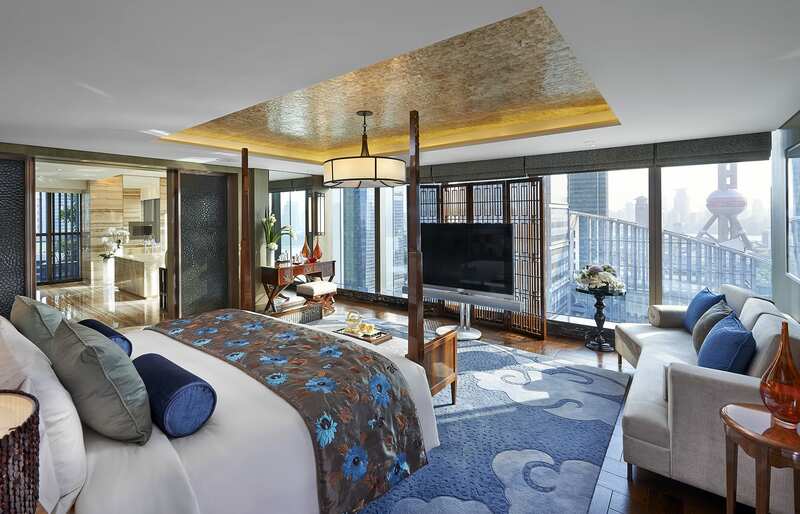 The Mandarin Oriental Pudong mirrors the city in an edgy balance between the showy and the restrained. 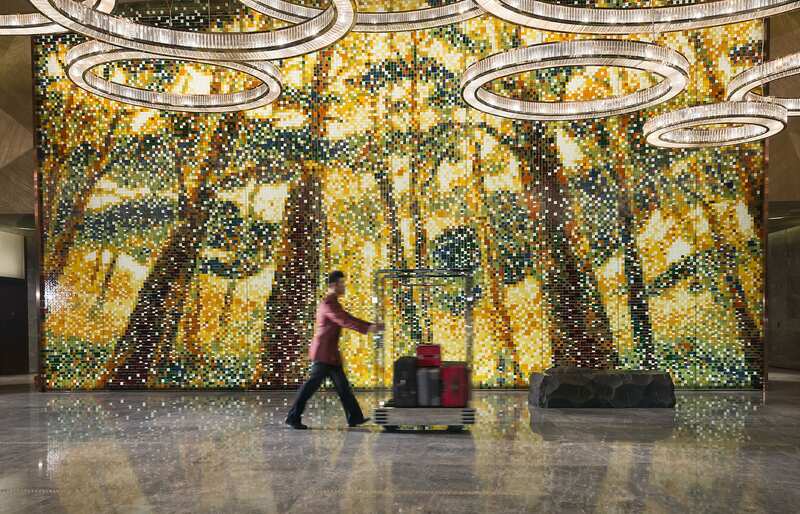 We flew to Shanghai from Lijiang, and it felt as if we traversed not just space but time. We’d took off in the distant past and landed in the future. 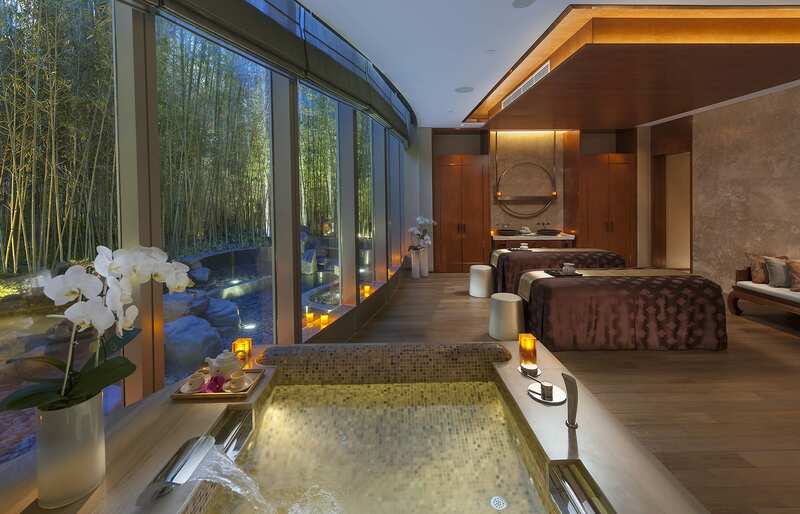 The Mandarin Oriental Pudong channelled this sentiment… except in the reverse order. 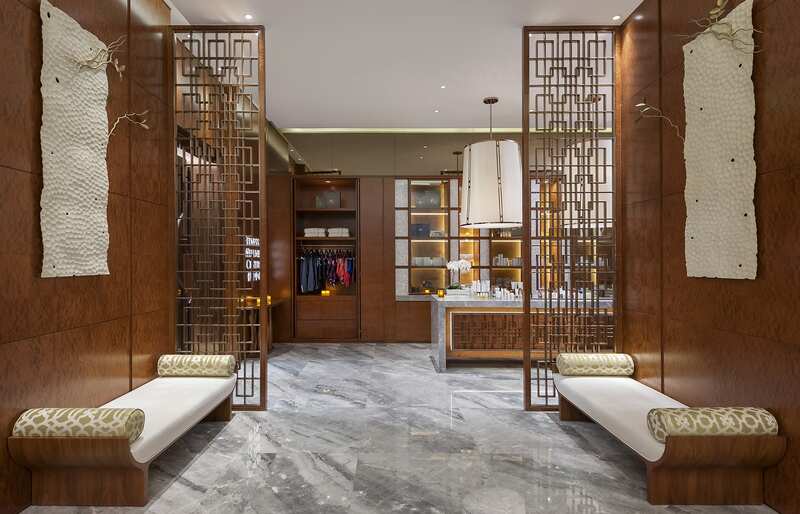 Almost futuristic on the first impression, soon the hotel reveals that its elegance has roots in the heritage of the old China. As we entered the building, we had to take a moment, just to appreciate the lobby. 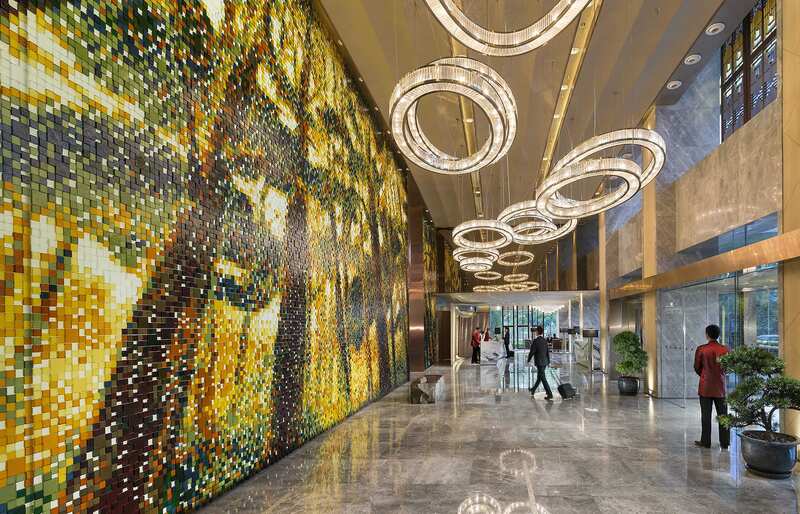 This great space is dominated by art features, the most remarkable of which is the wall of coloured glass mosaic, arranged in a quasi-abstract fashion symbolising a forest. Soaring above the marble floor are also the massive chandeliers, filling the lobby’s upper cavities with circular geometric lights. It’s designed to impress. Soon we discovered that there is, in the hotel’s design, a deliberate tension between the showy and the subdued. 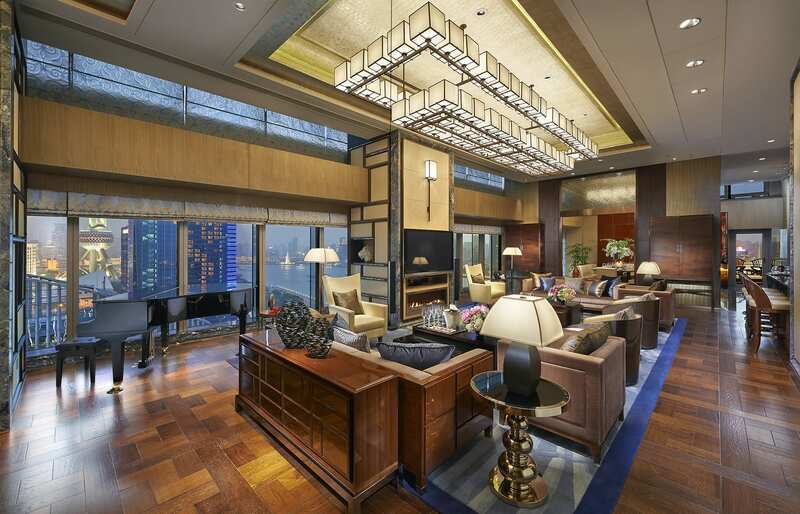 This adds drama to the interiors and presents a fine lesson in how designers can wow with restraint. 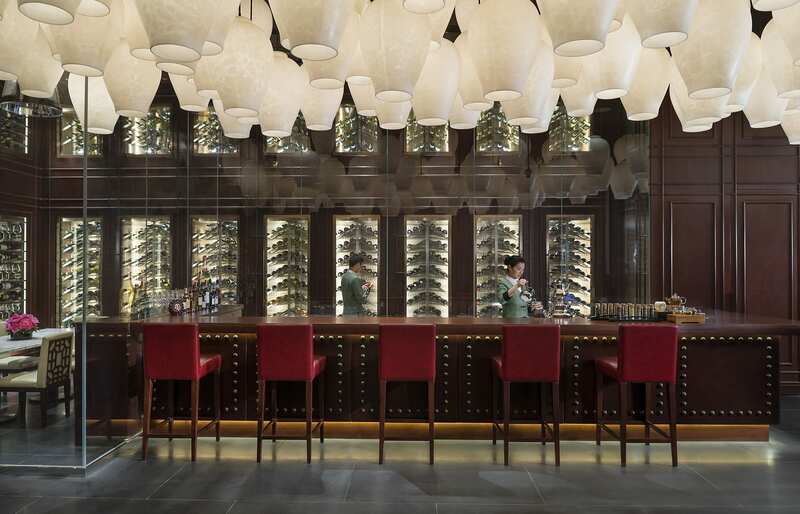 It’s the kind of sophisticated sensitivity that becomes almost a feature on its own at the Mandarin Oriental Pudong. 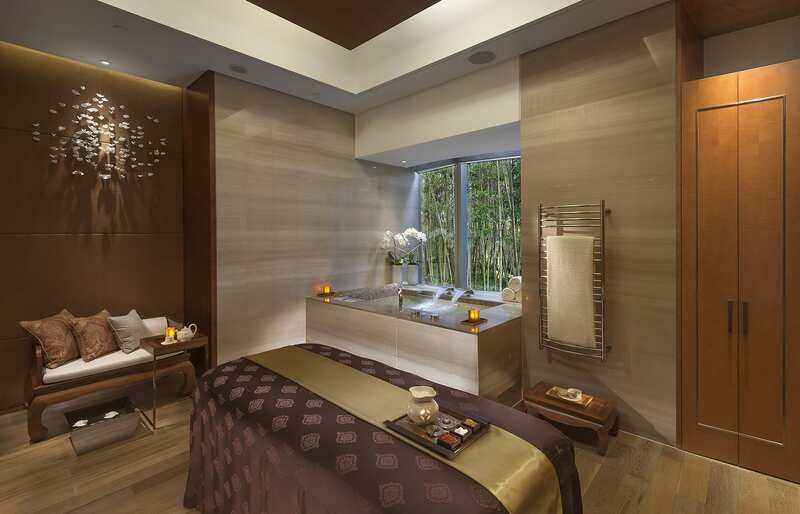 The interiors in the Spa may shimmer with gold, but they are never gaudy. The gleaming tone adds a touch of luxury, but only in the background. 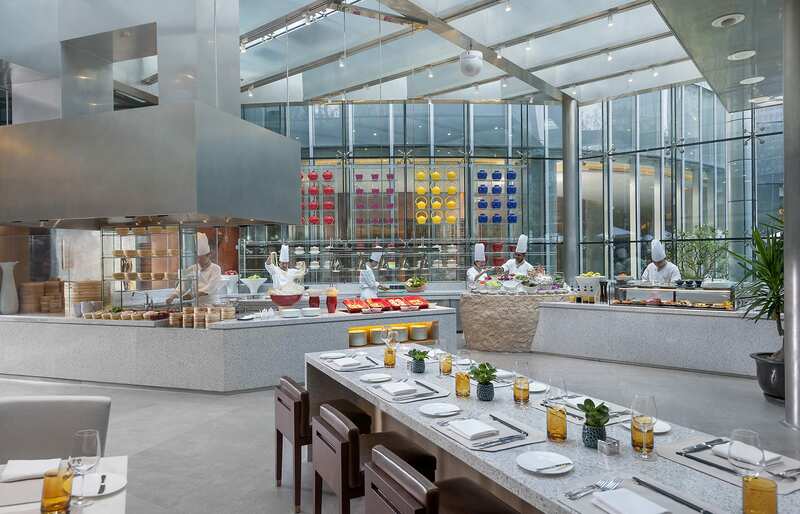 Similarly, the restaurants may feature contemporary art but the pieces never compete with the delightful culinary experiences. Then there are the contrasts. 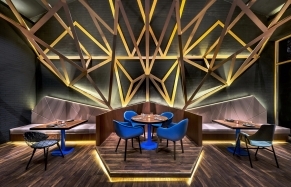 To enter the light-filled Yong Yi Ting restaurant one must go through a moody wine bar space, where the deep reds and dark wood is overlooked by the spectacular ceiling filled with dozens of lamps, arranged in an artistic composition. The mood shifts dramatically between spaces and interiors. 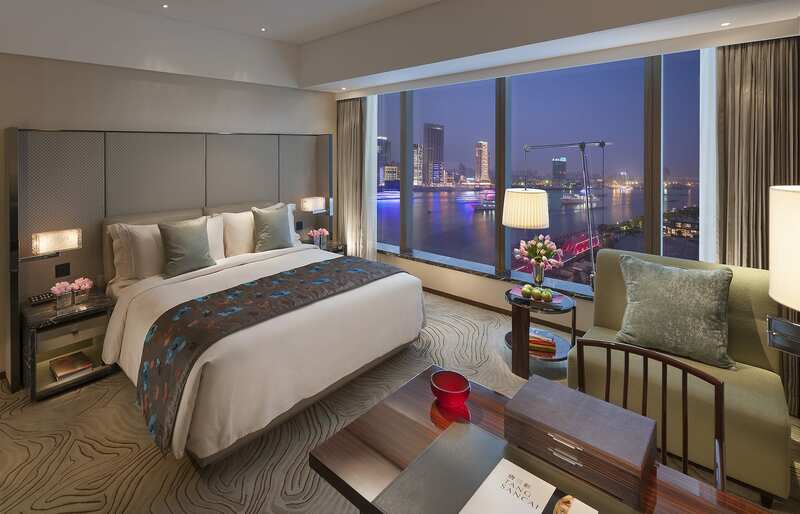 Works of Chinese art, of museum quality, are scattered across the hotel, including in the guest rooms and suites. These are the most conservative-looking, which is not surprising — after all the rooms should appeal to a broad range of tastes. But the interiors here are no less refined than in the rest of the hotel. 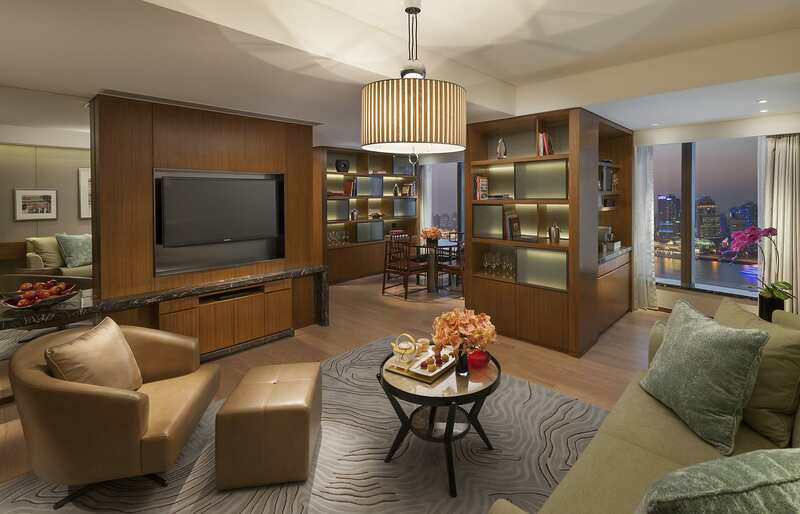 They are done-up in sophisticated shades of molten gold and dark wood, with plush carpets, sleek surfaces and high-quality finishes. Everything oozes contemporary luxury. 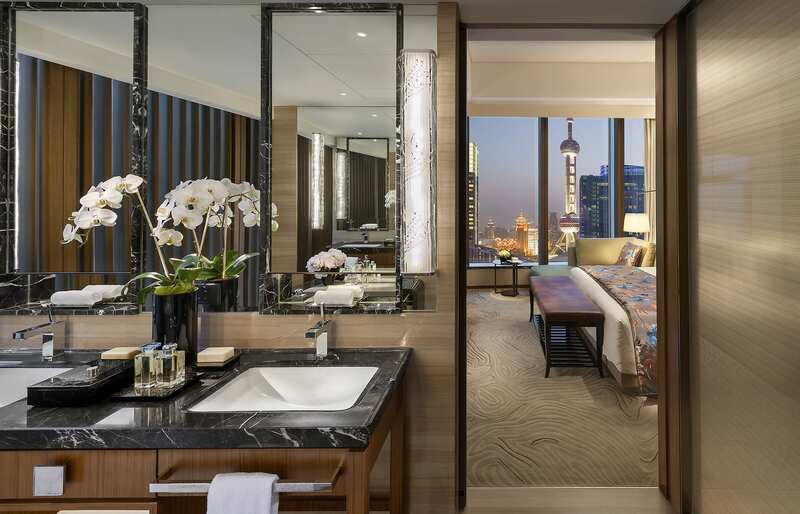 Many suites, including our Club Mandarin River View Room, have sweeping Huangpu River and city views through the floor-to-ceiling windows. 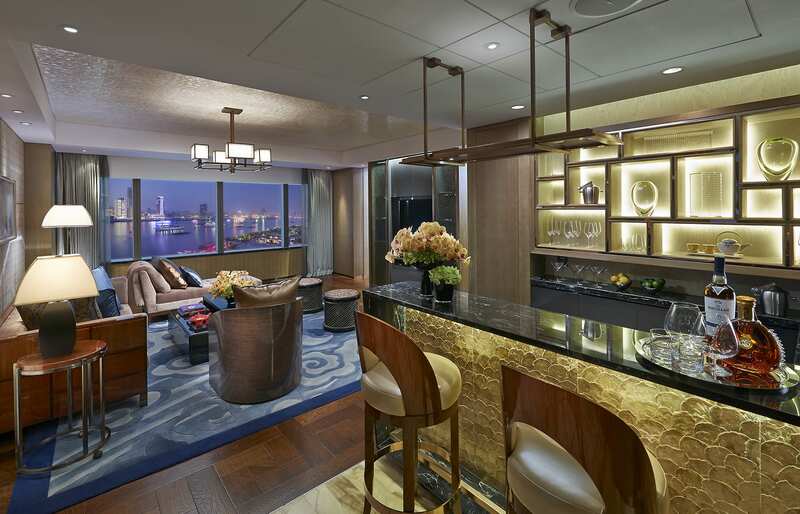 The “Club” class comes with a bunch of benefits, including access to the luxurious Club Lounge — we loved this one. The Lounge is beautifully designed, but moreover, it allows splurging on all-day drinking and dining. We had to kill one afternoon, awaiting our late departure, and this gave us the perfect excuse to kick our feet here and chill with a full plate and drinks, surrounded by pillows and books. 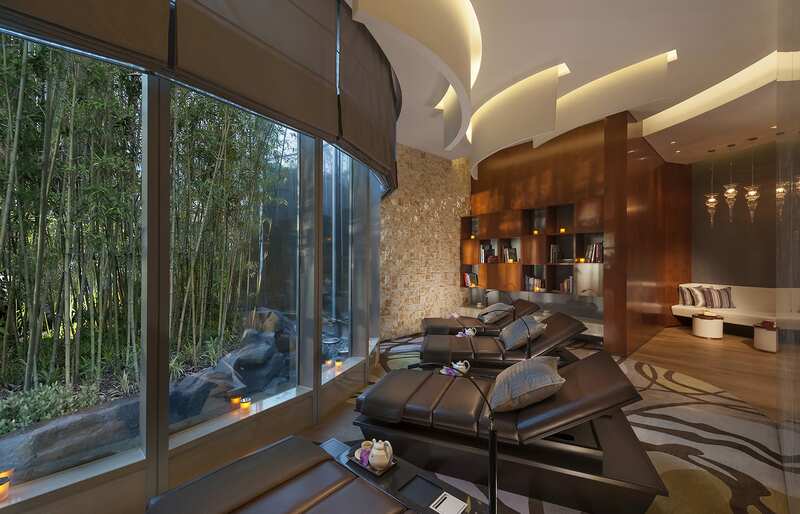 The Mandarin Oriental Pudong was our last stop — and chilling out in the exclusive lounge seemed like the perfect way to wrap up the China trip. 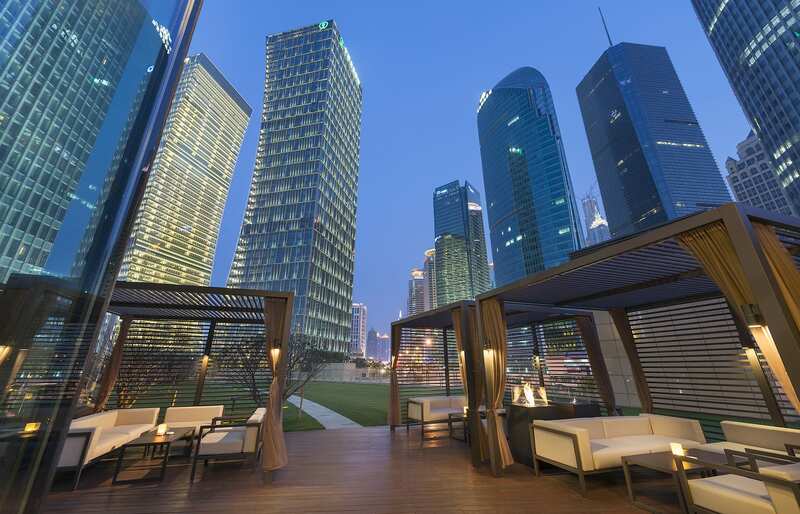 Sleek luxury and copious amount of space in the well-appointed rooms are the hallmarks of this city hotel. 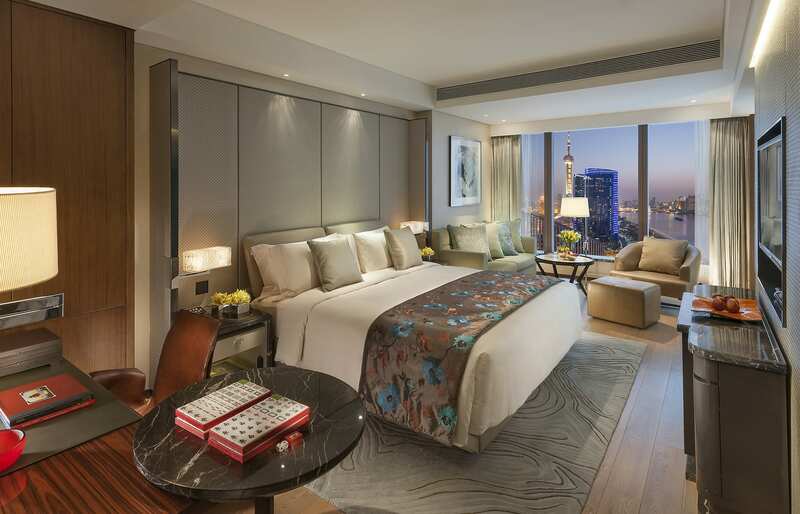 Add the excellent level of service to the mix and you get one of the best stays in Shanghai. Very high standards of service. We felt welcomed and taken care of at every step, and always this attention came across as effortless. 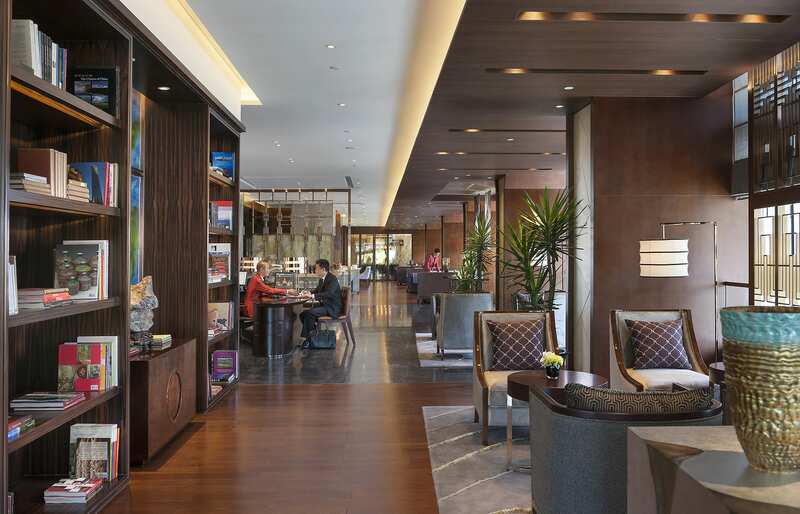 The combination of fantastic food, relaxed atmosphere and quality service makes the exclusive Club Lounge a real highlight— it's one of the best we've tried. We definitely recommend you to book a room with access to the Club. Apart from the access to the lounge, our suite was privileged with a bunch of benefits such as personalised check-in and check-out, butler service, free laundry, pressing and dry cleaning (and more). 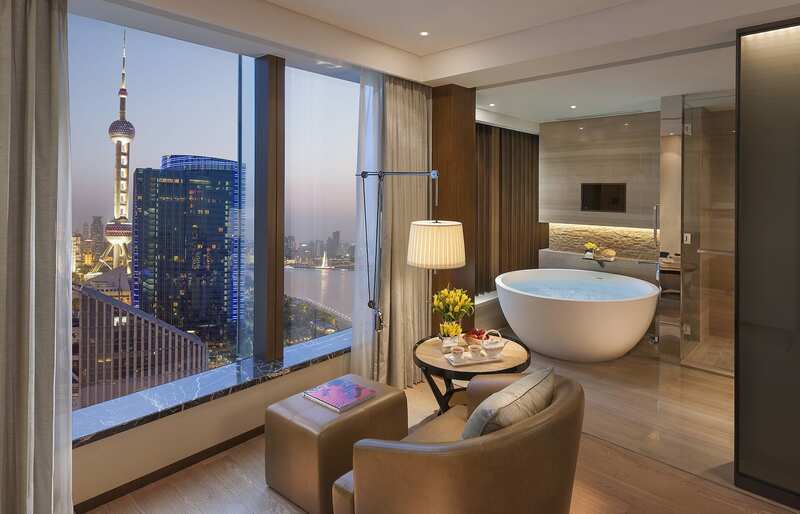 Our room had a nice layout and design, with a lovely egg-shell shape bathtub and fantastic city views. The furnishing and art objects were all beautifully crafted, which contributed to the sense of comfort. 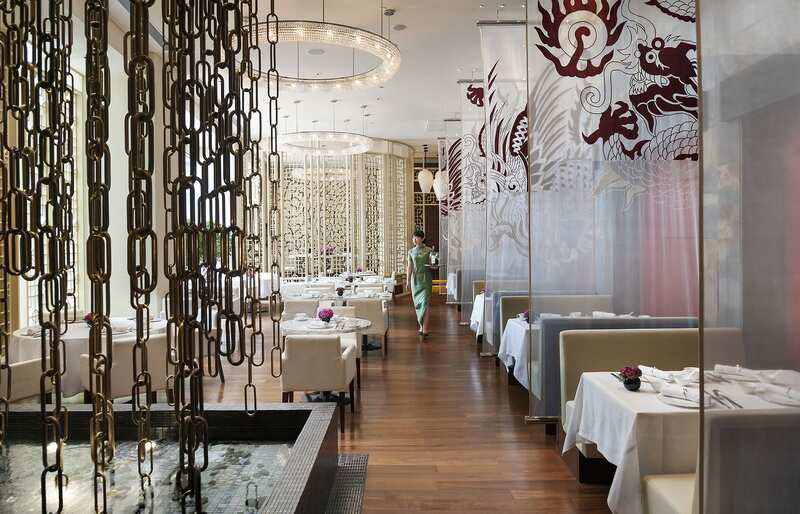 The three restaurants (plus the Mandarin cake shop on the lobby level) are all excellent. 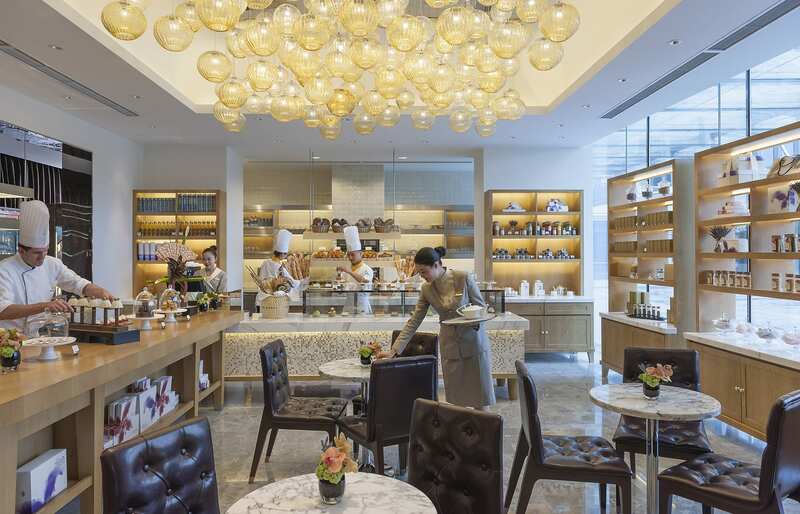 The lavish breakfasts are served in the Zest restaurant and in the Club Lounge. 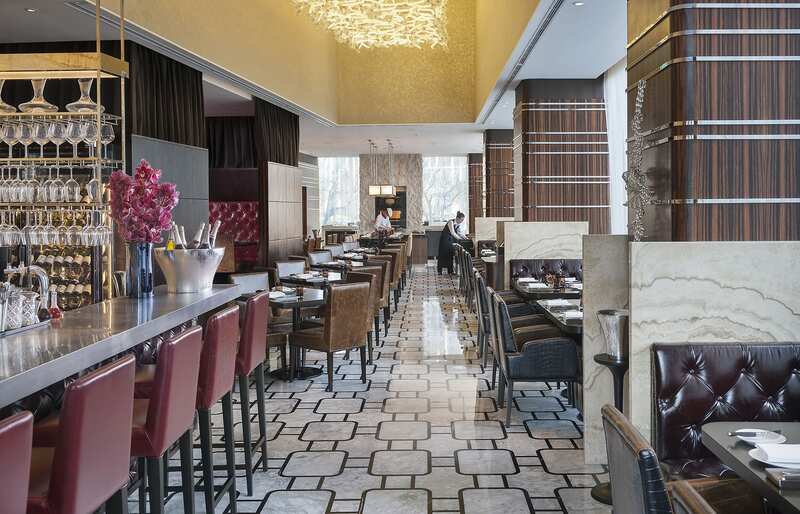 The range of food at the Lounge is narrower but we preferred the atmosphere — so we almost always had breakfasts there. 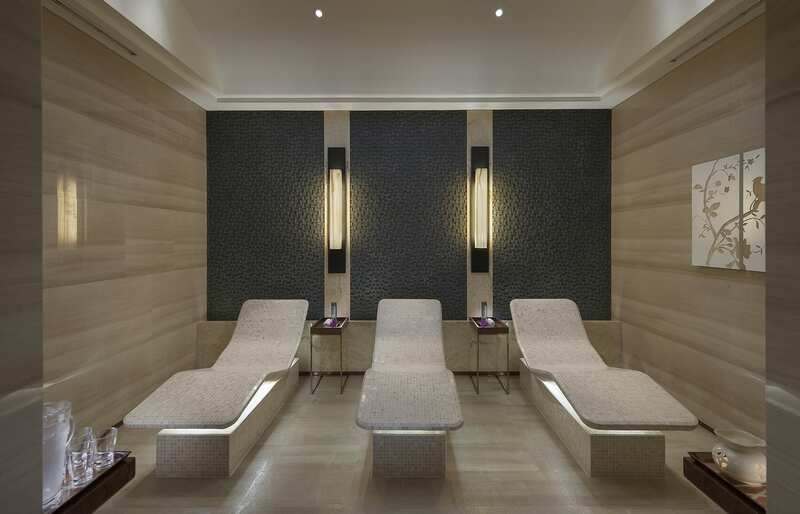 The mood of the entire hotel exudes exclusivity and contributes to the experience of tranquillity. 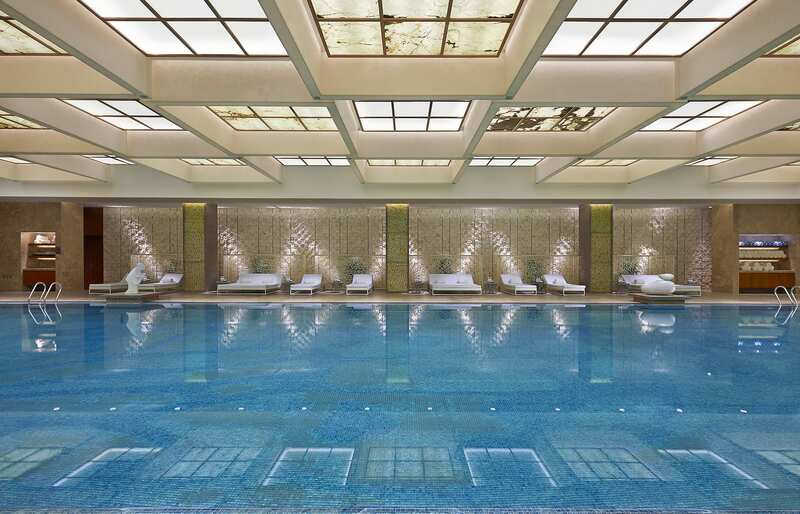 Mandarin Oriental Pudong is a quiet oasis in the middle of a huge metropolis. 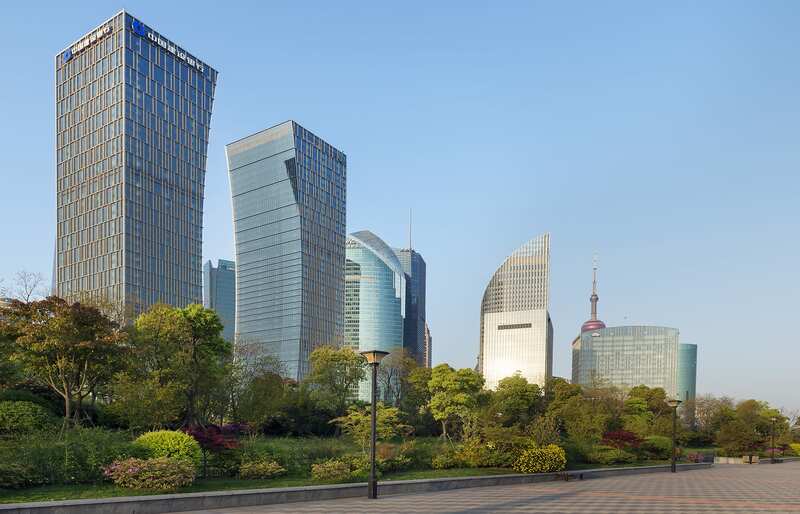 The hotel is located in the heart of Pudong’s financial centre, very close to Shanghai IFC and the Shanghai World Financial Centre. This should be well appreciated by the business travellers. 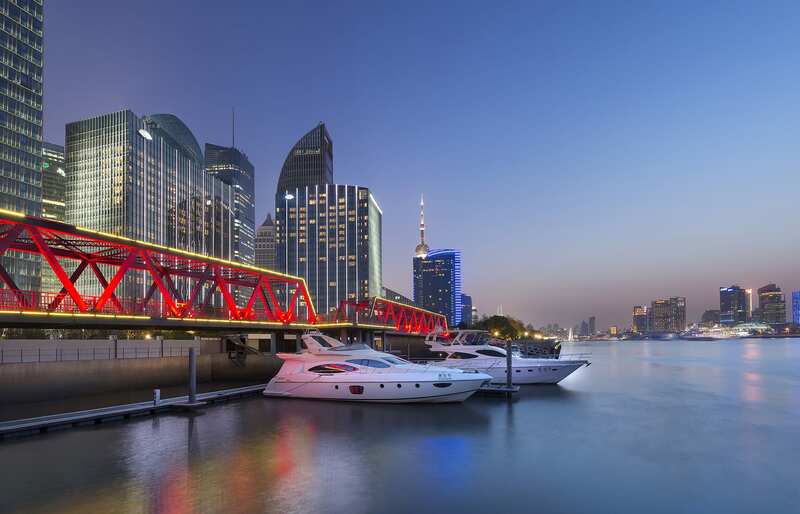 The Bund, where the most sightseeing activities are centred, is on the opposite side of the river. Though it may sound like it, that's not very far. It takes just minutes by car, and the hotel provides complimentary one-way shuttle service (up to 2km). 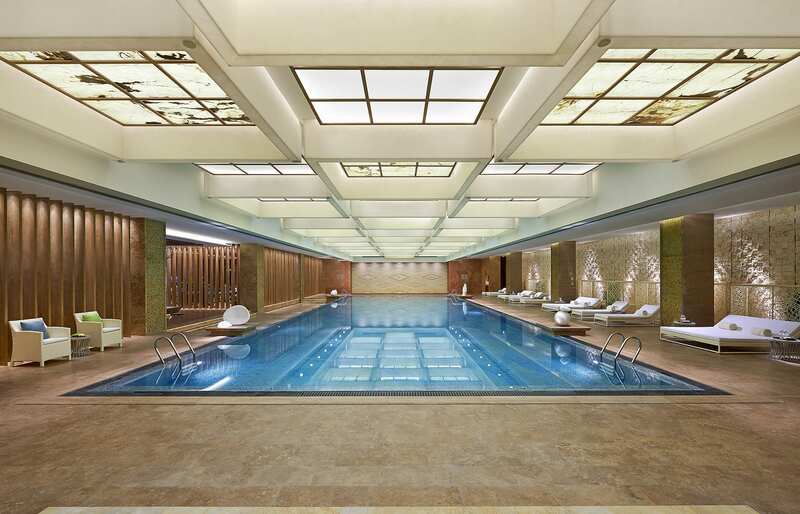 Apart from the nice-looking Spa the hotel also has a state-of-the-art gym and an indoor 25m swimming pool. Pro tip: subscribe to a good VPN app, ahead of the trip, as internet access in China is heavily controlled.